I am still quite a newbie to tanning and have stuck with the same trusty tan since last year when I first started using it! This is only the second tan I’ve tried, despite having other tans hiding away in my cupboard. 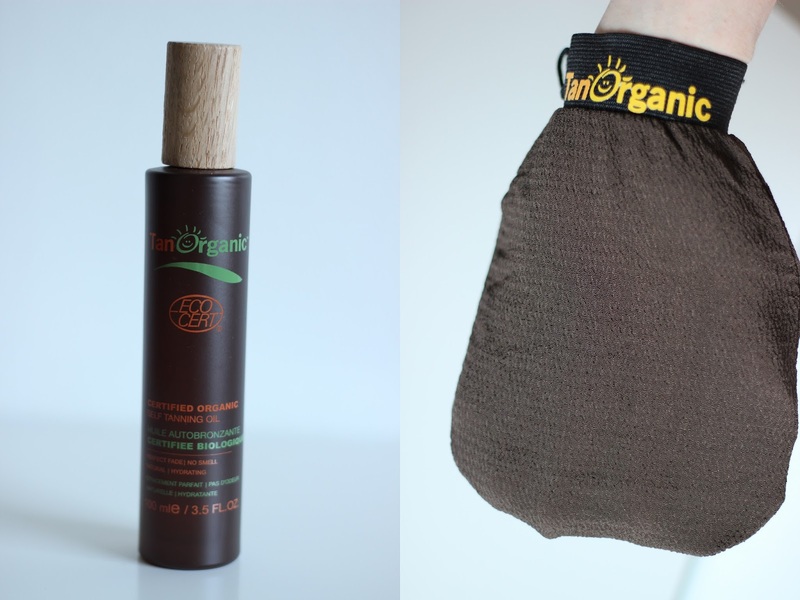 I love the idea of Tan Organic, as it is designed to stop reactions with tan by having no synthetic preservatives, drying agents or parabens. It actually contains 84% Aloe Vera which soothes and hydrates the skin. This bottle also contains enough product for 5 full body applications, which is rather good value! When applying tan, I’ve been used to a guide colour and a ‘tan smell’. This self-tan smelt ever so slightly of citrus when applying which was nice, but it unfortunately had no guide colour! Which was upsetting for a tan newbie like myself and I found it quite hard to apply. I applied it with my trusty Velvotan mitt although thinking about it, it probably would’ve been better to apply with my hands, to see how much product I was putting on my skin. You could see the oil on your skin slightly but I still managed to miss bits out, especially by my hands. It was quite a nice surprise to wake up in the morning with a tan after not seeing it develop before I went to sleep, but it was gutting to see I’d missed bits and it was super dark compared to the shade I’d usually go for. Whilst it was developing I noticed it didn’t make my skin itchy like other tans I have tried, which shows it is rather good for sensitive skin like mine! When I woke up it did have that ‘fake tan smell’ but that can’t be helped, as it’s the smell your skin has when reacting with tan. It is certainly a good tan because it is safe for sensitive skin and pregnant women, it also does what it says on the bottle. The idea is amazing too as it isn’t as drying as a mousse. But I think this tan would be better for someone who is a tan addict or likes a darker tan, it was a little too dark for me. It was definitely darker than my usual tan as my tan foundation looked too light! I’d imagine it’d look amazingly natural on someone with a slightly darker complexion, me and my pale skin did not suit the colouring very well. I found that it went patchy slightly on my arms and wrists, however everywhere else it faded quite nicely.